Buying A New Mountain Bicycle? Is a Mountain bike right for you? Mountain bikes continue to evolve. Full suspension is lighter and more affordable. Disc brakes set a new standard. Overall engineering for durability is markedly improved. Mountain bikes are now sophisticated machines, with exotic frames and components for both men and women. Mountain bikes are usually for the aggressive rider who likes to take risks, and ride hard. Do you like to go in the woods to ride amongst the trees, rocks and bumps, doing jumps and riding through creeks. Mountain bicycles are designed for riding over rugged terrain. If you are looking for something that you can go out rock stomping, and creek jump, a mountain bike will take the abuse and will provide the control and gearing that is going to make your riding a blast. Built with strong components that can absorb rough riding, mountain bikes are designed for off-road use. Downhill: Aggressive, Tough Mountain Bike Riding. Generally means most of the ride is going "down the hill". Downhill mountain biking is associated with downhill skiing both featuring giant slalom, slalom and freestyle events. Bike frames need to be sturdy have lots of support, usually full suspension, front and rear shocks, and high performance brakes. Front suspension bikes are suitable for the rider who spends most of their time off-road and serious off-road riding (downhill). Some full suspension bikes have become lightweight enough to fit into the Cross-country category. Hardtail bikes climb hills better in general; although some full suspension bikes have new technology that make them climb like a hardtail, and the benefits of a full suspension. Cross-Country: Does everything that downhilling is not. Cross-country bike is constructed to be a light weight as possible. Cross-country bikes tend to be what are known as hardtails, meaning they are equipped with a shock up-front, but not at the rear. Rigid: Cross-country with no shock at all are called rigid bikes. Rigid bikes have no front or rear suspension. Great for smooth dirt or paths. The riding position is fairly upright so you can see where you are going quite easily. You ride in a leaned over position, the seat is high, bars are straight, and frame is small. This combo makes the bike handle better for the aggressive ride through the woods, and over rough terrain. Mountain bikes have fat knobby tires for better climbing and control in mud. Knobby tread tires are designed specifically for front and back wheels. An aggressive tire designed to dig into loose soil. Mountain bikes are usually 21 - 27 possible gearing combinations. They are geared very low for easier climbing on mud, and soft surface terrain. If you are riding mostly on street and maybe some flat trails a mountain bike may not be right for you. Low gearing and fat tires make mountain bikes less attractive to those riding on the street. Fat tires have more rolling resistance and knobby fat tires have even more resistance, the gearing makes it hard to get the speed that most would like for riding on paved roads. Steel Alloys: High-tensile steel is strong and longlasting, but it's also heavy. A well-built steel frame can last a lifetime. Carbon-steel tubing is usually used in entry-level bikes. An advantage of steel alloy mountain bike frame is repairs can be made easy. It's most suitable for kids' and recreational or comfort style. Chromoly Steel: Chromoly steel is 40% stronger than high tensile steel. Because of chromoly's significantly higher strength, we can use thinner, and therefore, lighter tubing. Aluminum Alloys: Aluminum Alloys are lightweight, affordable, and has high resistance to corrosion which makes it easy to maintain. Aluminum frames also offer great rigidity, which is crucial in the construction of full-suspension mountain bikes. It's not a s forgiving as chromoly, but is lighter than steel. Good for riders who want lightweight and who don't mind a slightly rougher ride. Basically, it is light, stiff and strong. Carbon Fiber: Very tough and light. Will never rust or corrode, but it's also brittle. Metal lasts because it can bend and regain its shape. Carbon Fiber can't, which is why these have to be built stronger than actually needed. Carbon Fiber however is designed to absorb bumps and "road shock" causing this material to provide a very smooth ride. Carbon Fiber is moderately expensive and is best suited for riders who want a fast, light and comfortable bike. Whatever material you choose, the fit of your bike is the most important factor. Your bike frame together with its components, must fit your body and your riding style. Talk with us at The Bike Shack, work with us on our Custom Fit process, and we'll help you find a bike you'll love. Learning minor bike repairs and adjustments is easy and a must when riding rough terrain. They usually can be done with Allen wrenches between 2mm and 6mm. Take along tools for every ride. 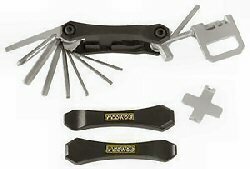 Great tool for mountain and road bikes. Here are the easiest, most often needed adjustments or service and can be done with an Allen wrenche. Ask The Bike Shack, we'll help you choose the best tools for your riding needs. 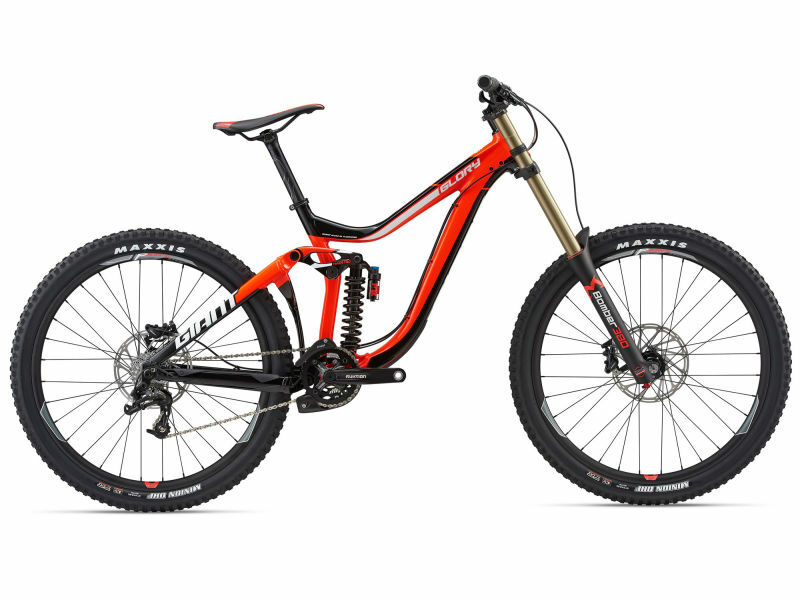 We hope this overview helps you pick out a great new mountain bike. Feel free to kick some virtual knobbies on our website and be sure to visit our real store soon so we can show you some of these amazingly fun bikes up close and personal. Happy shopping!